MODULE nine short answer questions. A 40 year old male attends your emergency department after a fight in a bar 15 minutes previously. He is complaining of left jaw pain and a missing front tooth which the ambulance have transported to you under the patient’s tongue. He did not lose consciousness, has a full memory of the event, and there are no other concerns for a closed head injury. ​A 45 year old construction worker presents to your department after being hit in the left face with a falling brick. He has no loss of consciousness, and no symptoms of closed head injury. He has a swollen painful left eye. What other fracture is likely to be present but not seen on the above image? What is the name given to this complex of fractures? A 24 year old man is brought to the emergency department after a high speed MVA. His primary survey does not reveal any evidence of acute airway compromise or chest injury and an e-FAST ultrasound of the chest reveals no pneumothorax. Using the table below outline 3 important principles of your intubation of this patient and state how you will apply them to this patient. The patient is successfully intubated and transferred to the CT scanner. A clinical image is produced below. After you return to resus from CT the patient’s blood pressure increases to 190/130mmHg and the right pupil dilates to 6mm. State the 3 next steps in your management that you will undertake. A 19 year old female is brought to the emergency department at midnight by the ambulance in a c-collar after falling down a set of stairs in a nightclub. An image of the c-spine is shown below. 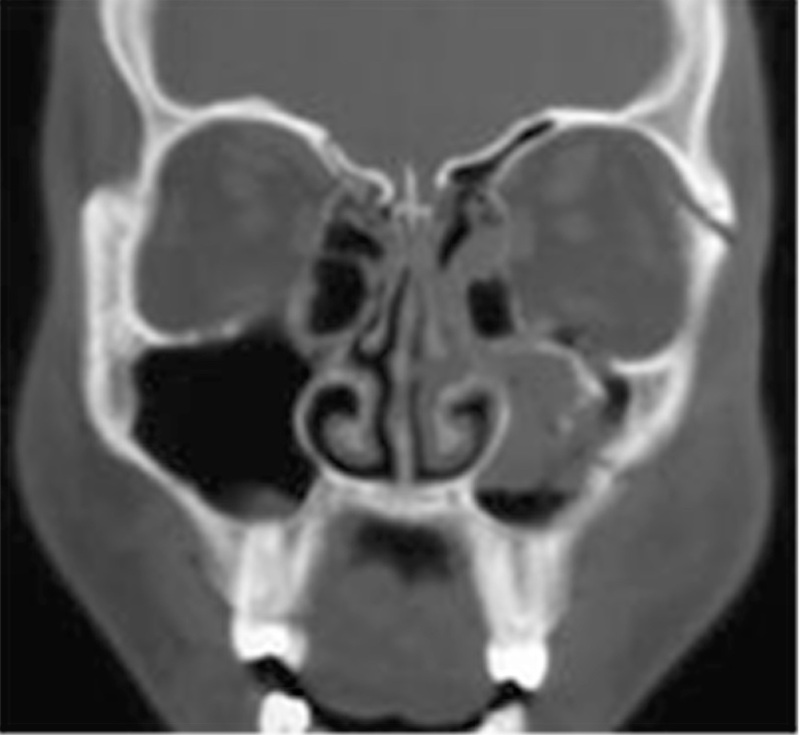 What give 2 major abnormalities and the diagnosis? 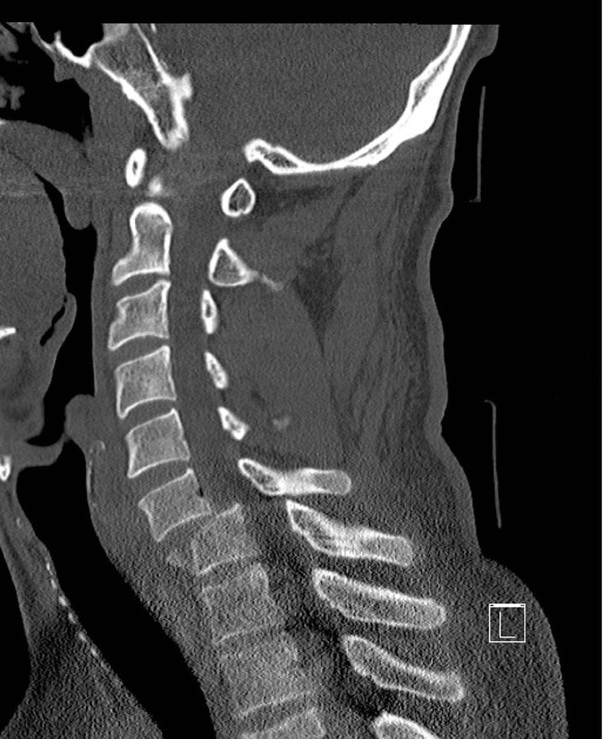 A 30 year old man is brought to the emergency department with neck pain after a sporting injury. He had been fielding at silly point whilst playing cricket, and has been struck in the anterior neck over the adam’s apple by a cricket bat. The patient has clinical evidence of a laryngeal fracture and a decision is made to intubate. Describe your procedure for a surgical airway in the event of not being able to intubate or oxygenate the patient. You successfully achieve a surgical airway. Once the tube is placed and confirmed by waveform capnography you notice that there is an abundance of pink frothy sputum accumulating near the filter. 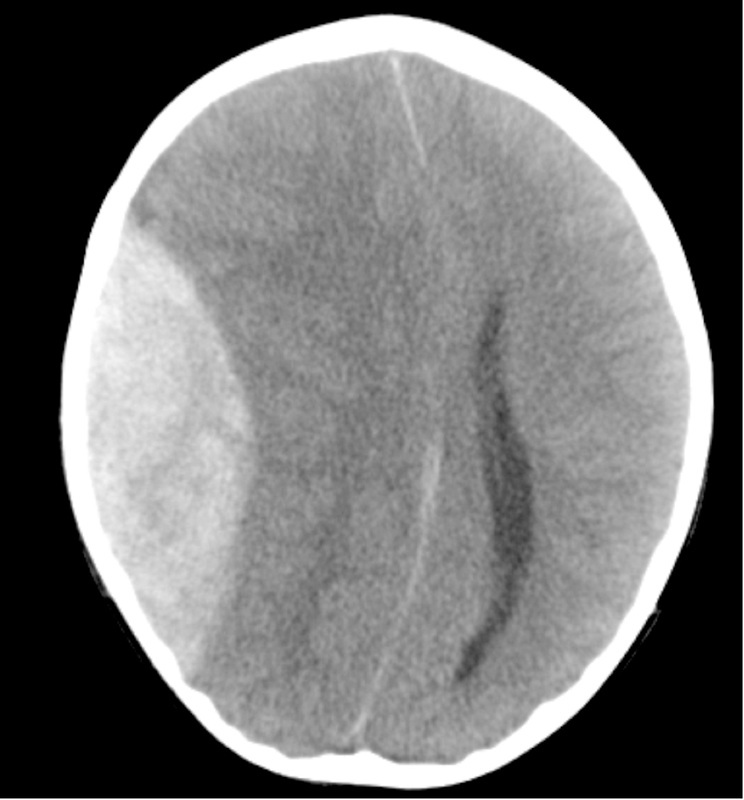 An arterial gas taken immediately is shown below. Give two acid base disturbances present. What is the likely diagnosis? Perform a calculation to support your answer. A chest xray is taken and shown below. 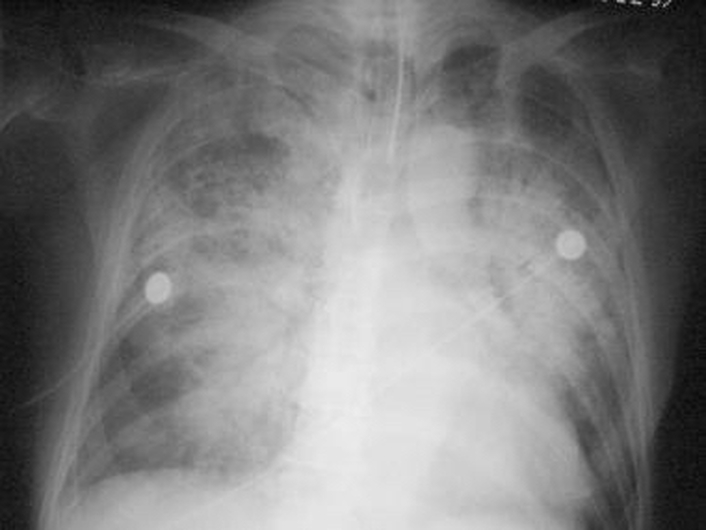 ​Give 2 major findings on the chest X-ray and relate it to your diagnosis above. Give 5 strategies will you now institute to address this problem.